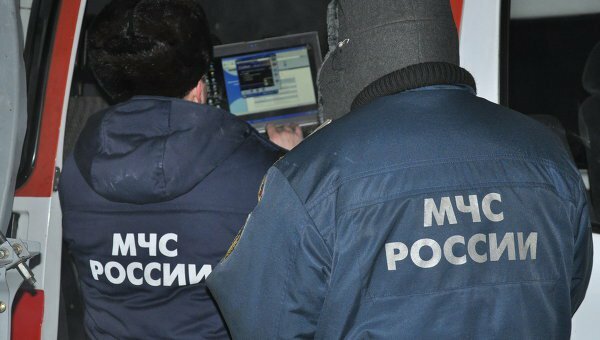 An earthquake with 4.5 ball intensity of MSK-64 scale at the epicenter took place in Tuva on Wednesday, as announced on Thursday by press-service of regional administration of MChS RF. 'The epicenter of the earthquake is 33 km north-east of Saryg-Sep of Kaa-Khem district, and was felt as 3.4 balls in MSK-64 scale in inhabited areas," - the announcement stated. "Aftershock seismic event was registered on 1 February 2012 at 12:37", says the press-release. This year on January 31, Nadia Rusheva would have turned 60. The vivid, active, promising life ended when the girl was only 17. She was born in 1952 in an artistic family. Her father Nikolai Konstantinovich Rushev (1918-1975) was a theatre artist. 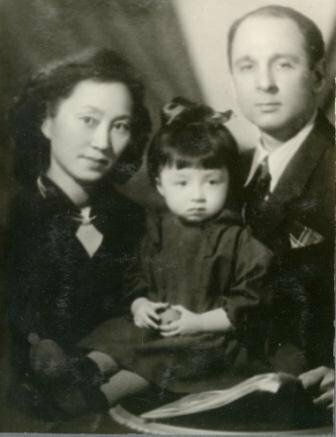 Her mother, Natalia Azhikmaa-Rusheva(born 1926) is one of the first Tuvan ballerinas. The family lived in Ulan-Bator at the time, as instructors on art duty. They gave the girl a Mongolian name - Naidan - which means "Eternally living" in translation. On January 1, a winter trail census of members of animal world began. Animals and birds are subjected to this census who are parts of the hunting industry as well as those who are not. Teams of census workers numbering from 15 to 40 people have been formed in each district. Side by side with inspectors of the State Commission, staff from specially protected natural territories, OOO "Tuvresokhotrybolovoshchestvo", Todzha cooperative-industrial farm, and experienced amateur hunters have been recruited for this project. At the age of 26, Chingis Oorzhak still plays with dolls. And he does it professionally. He learned to craft them independently from various ordinary materials at Moscow State special institute of arts, where he received his diploma of actor-puppet master. Today Chingis continues his beloved work already at the small scene "Tete-a-tete" of the National theatre of Tuva. 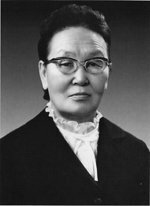 Khertek Amyrbitovna Anchimaa-Toka (1 January 1912 – 4 November 2008) was a Tuvan/Soviet politician who in 1940-1944 was a chairman of Little Khural (parliament) of Tuvan People's Republic, and the first elected or appointed (i.e., not hereditary) female head of state in the modern worldKhertek Anchimaa was born in what is now Bay-Tayginsky kozhuun of Tuva in a poor peasant family. She lost her father and elder brother due to smallpox when a child. Despite her mother being illiterate, Khertek managed to learn to write and read in Mongolian language, and in 1930, when the first national Tuvan alphabet was introduced, she was one of the first to learn it. The strongest earthquake in ever history of Tuva has damaged dozens of buildings in Kyzyl, but no injuries or deaths have been reported. 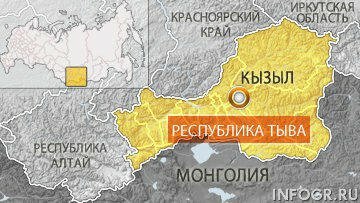 The epicenter of the 9.0 magnitude quake was about 100 kilometres (60 miles) east of Kyzyl, capital of the Russian republic of Tuva, which borders Mongolia, in the place Bai-Sut of the Kaa-Khem district. 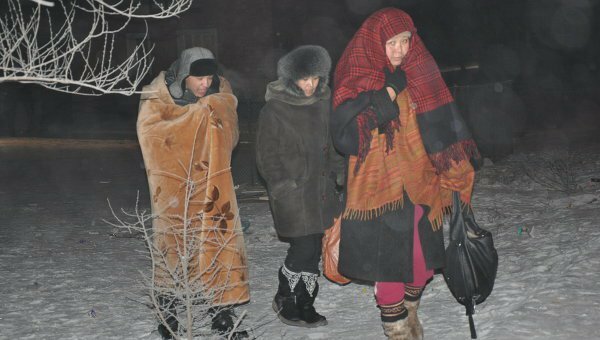 A 9.0-magnitude earthquake that hit the southern Siberian republic of Tuva on Tuesday caused no damage or casualties, a spokesman for the regional Emergencies Ministry said. “Everything is all right. Our dispatchers work round the clock and they did not receive any calls on any destruction,” the spokesman said. 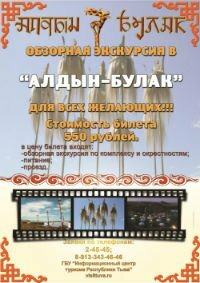 Nature park of regional significance "Shuiskiy" was established on the territory of two districts of Tuva, which have been recognized as some of the ecologically cleanest places on Earth. Today, the decision was made by the government of the republic. The park was created under the statute of specially protected natural territory on an ecological-economic basis presented by Tuvan institute of complex research of natural resources (TIKOPR) . 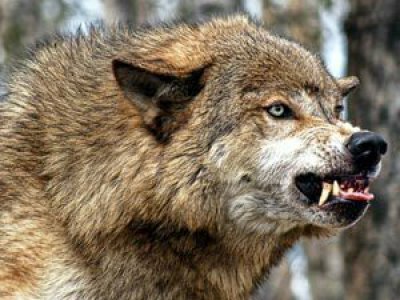 Tuvan hunters have destroyed a record number of wolves this year; the number of predators shot consisted of 669 individuals, which is one and half times more than in 2010, as reported by government of the republic. The authorities in Tuva noted, that the discontinuance of systematic struggle with the predators in the early 1990's caused a fast increase in the numbers of wolves in Tuva, whose population to date has reached 2.5 - 3 thousand individuals (380-400 packs). Experts from WWF, after the discovery of total numbers of red Book snow leopards who live on the territory of pastures of south-west Tuva, are turning to members of Russian business community with a plea to "adopt" the irbis. 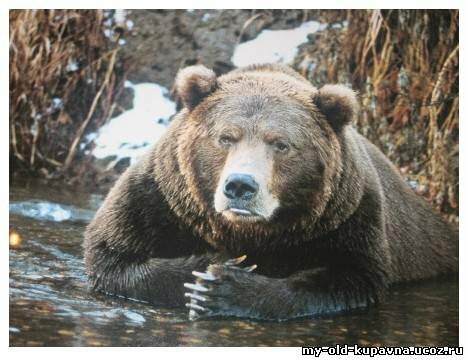 Voluntary contributions by the "adoptive parents" will help to compensate herders for losses of livestock to attacks of the predator, to discourage the herders from killing the animals, as RIA Novosti was told by the press-secretary of Altai-Sayan project of WWF in Russia, Tatiana Ivanitskaya.